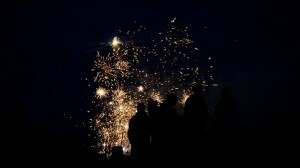 Over the Forth of July here in these United States there are lots of fireworks celebrating our Independence Day. I decided to take the Lumix GH4 out and shoot some of our local fireworks at 96 frames a second. One of the nice new features of the GH4 is the ability to shoot slow motion in the camera. That way when I play it back it plays in slow motion. I set the iso of the camera at 1600. I used the new Lumix 14-140mm lens. I am real happy with the results. I hope you enjoy them. Tagged DCM-GH4, GH4, Lumix GH4. Bookmark the permalink. OUTSTANDING film Alan…thanks for filming this.